With no championships to play for in the final weekend of the season in Abu Dhabi, Sunday’s Grand Prix is set to be a straight up pride fight for victory. And the driver who put himself in the best possible position for that fight in Saturday’s qualifying session was Lewis Hamilton, who took pole position at Yas Marina with a new track record of 1m 34.794s, ahead of his Mercedes team mate Valtteri Bottas. In a momentous day for the Silver Arrows, Mercedes became the first team in F1 history to take five consecutive front row lock-outs at any track, while it was Hamilton’s 11th pole position of 2018. Behind the two Mercedes came the pair of Ferraris of Sebastian Vettel and Kimi Raikkonen, who continued the Scuderia’s run of having never appeared on the front row at Yas Marina since the race was introduced in 2009. Then came the paired up Red Bulls of Daniel Ricciardo and Max Verstappen, the team having already predicted that they were likely to play third best in qualifying, but more hopeful for a strong performance in the race, with analysis of Friday’s long-run pace data suggesting that their car is the fastest in race trim. Haas’ Romain Grosjean claimed the final ‘best of the rest’ placing of the season – denying Nico Hulkenberg the chance to claim his fourth consecutive appearance in seventh place on the grid in Abu Dhabi – while the similarly Ferrari-engined Sauber of Charles Leclerc was eighth. Esteban Ocon was ninth for Force India, while Hulkenberg ended up 10th. Appearing in what could be his final ever qualifying session, Fernando Alonso was P15 for McLaren. Vettel was the first driver this weekend to get down into the 1m 36s bracket, punching in a 1m 36.949s early doors in Q1 before improving that to a 1m 36.775s to take P1 in the segment, the Ferraris appearing to finally reveal their true pace this weekend having seemingly sandbagged in the free practice sessions. Vettel was ahead of the two Mercedes of Bottas and Hamilton, but with both of the Silver Arrows within a tenth of the German’s time. Ocon impressed to go P4 ahead of the second Ferrari of Raikkonen, while there was a cheer around Yas Marina after a superb final effort from Alonso saw him drag his McLaren into P14 – and into Q2 in his final F1 qualifying session. The drivers having the earliest baths in qualifying were the two of Toro Rossos of Brendon Hartley and Pierre Gasly – with Gasly pulling up and abandoning his car after his final lap after smoke was seen emanating out of the back of the STR13 as he crossed the line – the McLaren of Stoffel Vandoorne and the two Williams cars of Sergey Sirotkin and Lance Stroll at the back of the field. A stunning lap on the supposedly slower ultrasoft tyres from Lewis Hamilton saw him breeze through Q2 with a 1m 35.693s, 0.451s ahead of the Red Bull Verstappen in second, the Dutchman through on the faster hypersoft rubber. That will give Hamilton a tactical advantage in the race, while it’s an advantage that his rival Vettel will share too, the Ferrari man opting to run on the purple-walled rubber as well. Ricciardo, too, will start Sunday’s race on the ultrasofts. The Australian was circulating in 10th place on the hypersofts at the end of the session and nearly improved his lap with them on before his engineer smartly told him to abort. He squeaked through by just 0.018s. Out in Q2 went the Renault of Carlos Sainz, the Sauber of Marcus Ericsson, the Haas of Kevin Magnussen and the Force India of Sergio Perez – all four drivers having to watch on as their team mates progressed into the final segment of qualifying, while there was to be no fairy-tale Q3 appearance for Alonso, as the Spaniard went out in P15. Hamilton is already comfortably on top of the all-time pole positon list – but would he be bothered enough to try and add another one to the tally without the incentive of a drivers’ or constructors’ championship to play for? You bet he would. The first runs in Q3 saw Hamilton shading Vettel by just 0.057s at the top of the time sheets, and that with a scrappy lap where his Mercedes W09 had looked a touch flighty around the Abu Dhabi track. As the drivers all headed back out into the cooler evening air to try again, Hamilton’s car suddenly looked dialled in, the Briton appearing to be low-level flying as he monstered to a 1m 34.794s, 1.437s quicker than the previous lap record set by Bottas last year to claim pole number 11 for the season, and number 83 of his career. 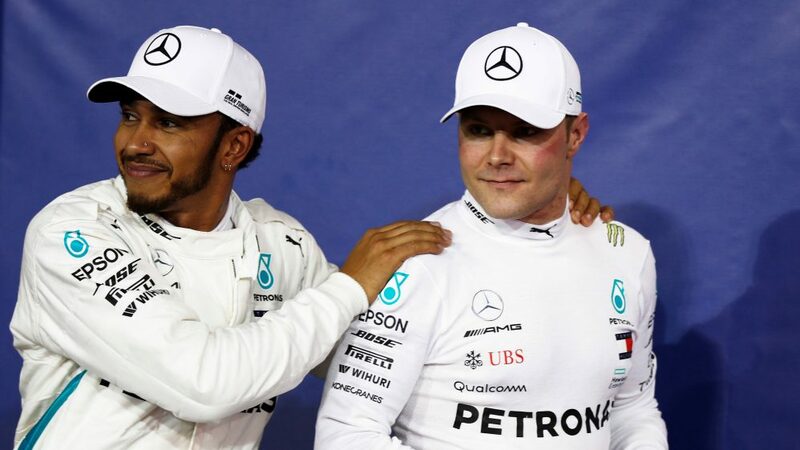 Bottas couldn’t match that Hamilton magic, but did well to go P2, just 0.162s off his team mate’s pace, while a final effort from Vettel wasn’t enough to maintain his place on the front row, as he slipped to P3, after a poor final sector, behind Bottas, but ahead of team mate Raikkonen. Red Bull won’t have minded being P5 and P6 too much, the team having never had much luck at Yas Marina in the post-2014 hybrid era but appearing to be strong on race pace, while Grosjean and Leclerc’s closely matched times in P7 and P8 demonstrated the strength of the Ferrari power unit in the midfield battle. Haas need to have the best weekend of their short existence in Abu Dhabi if they’re to overcome the 24-point deficit to Renault for fourth place in the constructors’ championship. That being the case, Renault will doubtless not be too miffed that their drivers finished 10th and 11th in qualifying, both Hulkenberg and Sainz just needing to keep Haas in their sights to ensure Renault take that prized P4. So another race weekend, another pole positon for Lewis Hamilton. 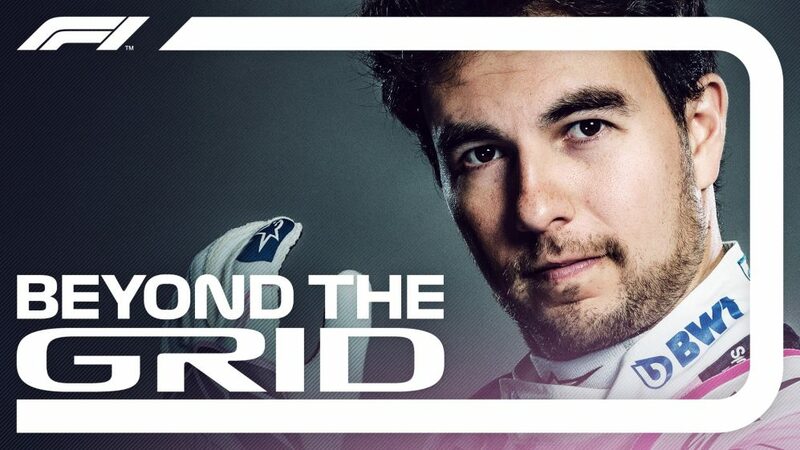 And as if he hadn’t demoralised his rivals enough this season by taking his fifth world title in the face of the toughest opposition Mercedes have had to deal with since 2014, the Briton now looks poised to dish out a final piece of pain in 2018 before F1 heads into its winter hibernation. While Mercedes claim the record for the first time a team has locked out the front row five consecutive times at one race, with 57 front-row lock-outs, they’re also now five short of the all-time record. … however, despite the fact that Sebastian Vettel has only won five times after starting off the front row, all five of those came when he started from P3, as he does on Sunday. Daniel Ricciardo maintained his streak of always outqualifying his team mate at Abu Dhabi, while in doing so, he maintained Max Verstappen’s record of never having outqualified a team mate here. Romain Grosjean’s P7 was his best-ever grid slot for Abu Dhabi, while his efforts in qualifying also saw Haas appear in Q3 for the first time at Yas Marina. Romain Grosjean also wins the Haas qualifying battle for the season, pipping Kevin Magnussen 11-10. In his final seven races for Renault before he leaves for McLaren, Carlos Sainz has only made it into Q3 once, while Magnussen has only been in Q3 once in the last eight. 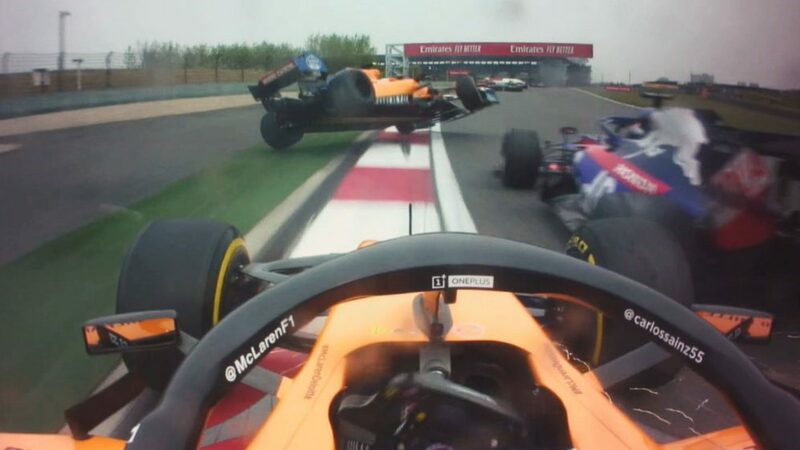 Sadly for Stoffel Vandoorne, he now becomes the first driver to be whitewashed by their team mate in a season since Nelson Piquet was outqualified at every race in 2008. Both times, the driver doing the whitewashing was Fernando Alonso. It was the first time Pierre Gasly has been out in Q1 since at the German Grand Prix, 10 races ago. Alonso will start P15 – incidentally, the position he started in when he controversially won in Singapore in 2008. Sunday’s race gets underway at dusk, with lights out at 1710 local time – that’s 1310 UTC. Expect the temperatures to still be around the 30 degree Celsius mark at the time, before cooling a degree or two as the race goes on. The stage looks set for a spectacular final fight-out under the floodlights as the 2018 season draws to a close – but can anyone deny Lewis Hamilton the opportunity of ending his year on a high?